Content Marketing continues to drive marketing strategy for many companies and yet, most companies don’t document that strategy. The result? Marketing departments are challenged to create a variety of compelling content on a consistent basis. Smart, creative and results-focused advice on content marketing that actually works is in high demand and I’m happy to say that over the past few years we’ve published just under 500 content marketing articles on topics ranging from strategy to measuring ROI. To bring you a balanced view of content marketing, we’ve made sure to publish our own point of view and thought leadership as well as interviews with brand content marketing practitioners and executives. 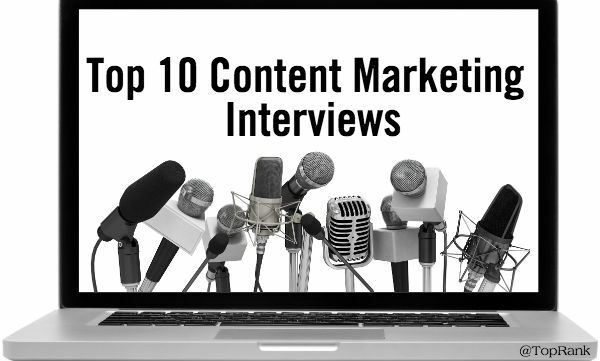 There’s a lot of insight in those interviews and below is a list of the 10 of the most popular, featuring conversations with brands that include: MarketingProfs, Visa, Facebook, Content Marketing Institute, LinkedIn, 3M, Bank of America, Xerox, and Dun & Bradstreet. Enjoy! In business and in life, writing is an essential part of communications – no matter how digital, virtual and science fiction we get in our communications. That’s why Ann’s most recent book, Everybody Writes: Your Go-To Guide to Creating Ridiculously Good Content, is so timely. From Twitter to White Papers to books in print, Ann has smart, actionable advice for us all. Read the full Ann Handley interview here. In this interview Stephanie discusses the most important changes in content marketing, a content report card for brands, predictions, career advice, and insight into more cross-functional content marketing success. Oh, and she also has thoughts on what will be the ruin of Snapchat. Read the full Stephanie Losee interview here. An insatiable learner (Masters in Information Science), wicked smart, focused on results, kind and thoughtful, Jonathan is definitely someone you can learn a lot from. In this interview he shares his journey from REI SEO to Content Strategist at Facebook, offering really useful tips, tools and resources along the way. Read the full Jonathon Colman interview here. 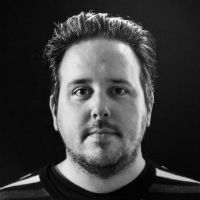 In this interview, Joe talks about how he found his passion for content marketing, the value and impact of goal setting, and the 6 step Content Inc model. Read the full Joe Pulizzi interview here. This interview focuses on Jason’s current work, about LinkedIn and his insights into making social media and content marketing hits. He also shares examples of great B2B social media and content marketing, tools, resources and even a few predictions. Read the full Jason Miller interview here. This in-depth interview with Carlos covers content marketing in general, content strategy, and how to develop a content marketing culture across a large enterprise. Read the full Carlos Abler interview here. 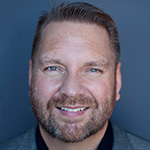 For this post, John talked about his editorial background, how he stays current, motivating executive participation with content and a preview of his keynote and breakout session presentations at Content Marketing World. Read the full John von Brachel interview here. This conversation with Jeannine focused on content marketing strategy, top challenges facing content marketers, and content marketing lessons to be learned from Charlotte’s Web. Read the full Jeannine Rossignol interview here. Here, Rishi talks about building an inbound approach to marketing with content and the role content plays in an overall demand generation strategy. Read the full Rishi Dave interview here. A first class guy and a pleasure to work with as an influencer, our discussion with Michael touches on some of the key questions marketers are trying to tackle, from developing a strategy to growing an audience to the importance of measuring content marketing performance. Michael also shares a business lesson from one of his favorite childhood stories. Read the full Michael Brenner interview here. There’s a lot of smarts in these content marketing interviews and I hope they have inspired you in ways that will motivate content that is better for your customers and more effective for your marketing. You will also be able to see most of the content marketing smarties interviewed above at Content Marketing World. Ann, Stephanie and John are all giving keynotes and of course, Joe Pulizzi is the man behind it all. My business partner and our agency president, Susan Misukanis (L) and our agency director of marketing, Ashley Zeckman (R) will be attending Content Marketing World as well. If you can’t make the conference or even if you are, don’t miss a thing by watching @toprank, @smisukanis and @azeckman for tweets during the conference and Online Marketing Blog for daily liveblogging of presentations. We hope to see you in Cleveland! Disclosure: We are currently providing services to LinkedIn and MarketingProfs.